15th August is the Independence Day of India. The day commemorating day that India got freedom from the British rule. We at MJC joined the nationwide celebration by organizing a short program. 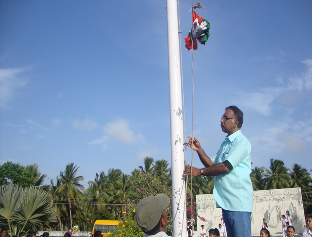 The program began at 7 a.m. with the hoisting of the National Flag by Mr. Kuruvilla P. Varghese, the Manager Operation of MJC. 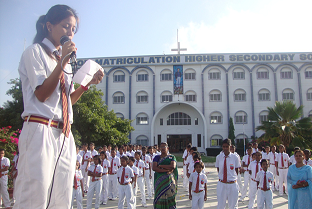 It was followed by two speeches by Simantha and Srijana of grade 12. The speeches were in Hindi and English respectively. 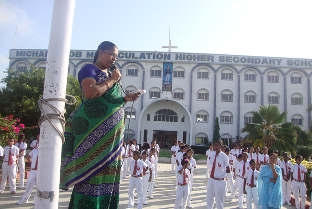 Mrs. Vimala, vice-principal (MJ School) spoke eloquently and she encouraged the students to study hard and become an independent individual of independent India. 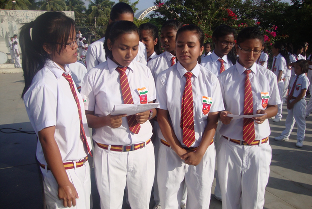 A patriotic song was also presented by the students of the 12th grade. 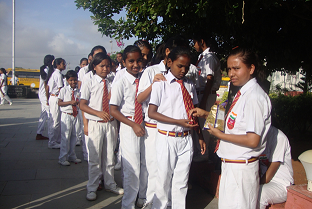 The program concluded at 8 a.m. with the distribution of toffees among the students.